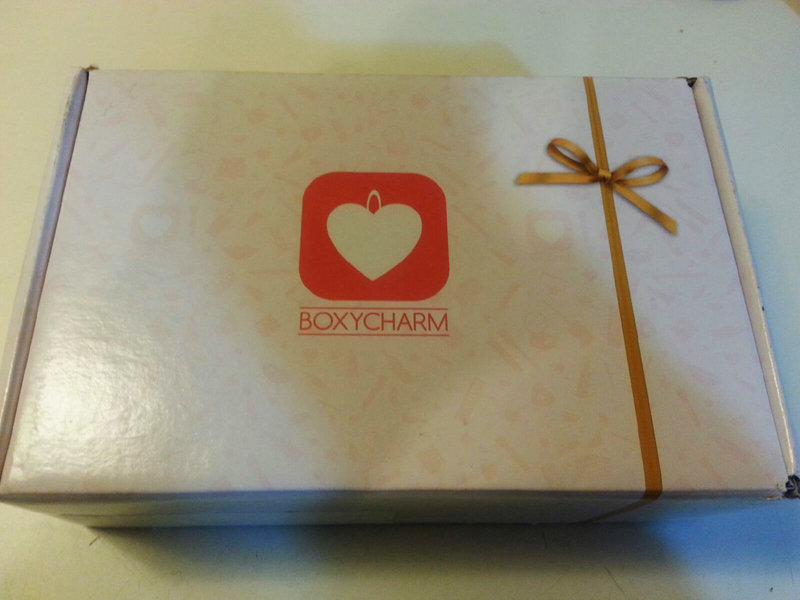 Boxy Charm is a beauty subscription boxes that sends full-sized items for $21 per month, including shipping! I think this is a great deal because they tend to send pretty good brands! 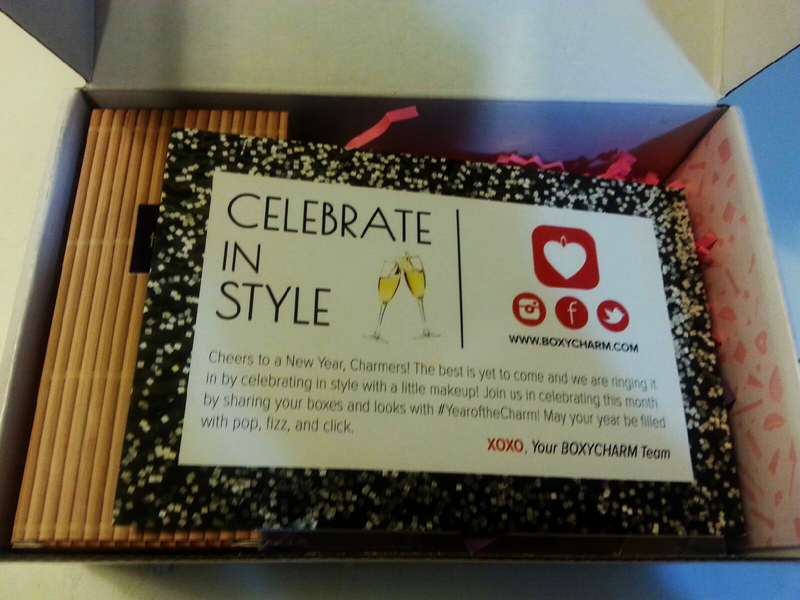 I’ve been admiring this box for awhile now, but just signed up for the January box. I figured it would be a good time to start. After seeing the Tarte spoiler, I knew I had to subscribe. There is a lot of stuff in such a small box! This box fits right into my mailbox, so that gives you an idea about how small it is. It’s quite impressive! 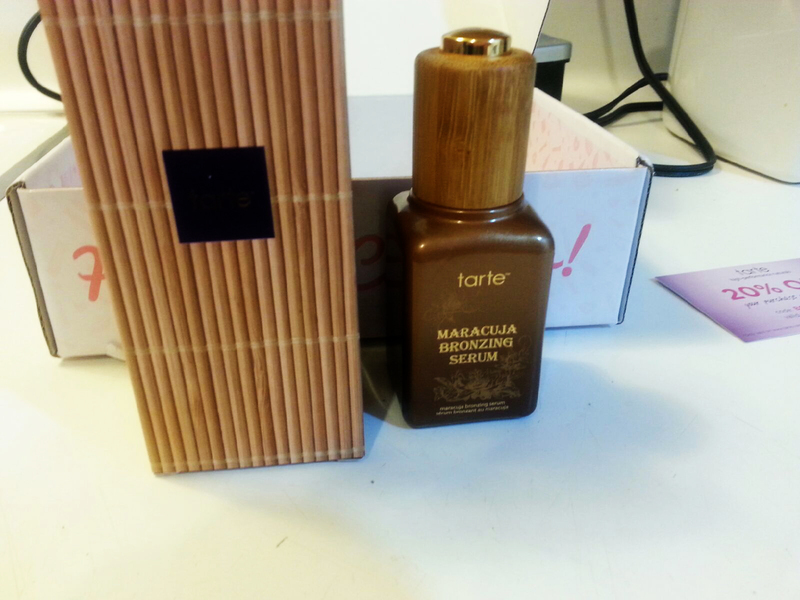 Of course the start item this month is the Tarte Maracuja Bronzing Serum. Wowzers! This is a large bottle. I’m totally happy about it because I love Tarte Maracuka oil. The stuff is not cheap, either. I’m not into bronzers, but it is said this just gives “glowing” skin, which I’m all about, so I wanted it. A lot of people complain about the scent, but I didn’t think it was bad. It seemed beachy to me, but I guess if you’re sensitive to scents, it could be a turnoff. It seems super moisturizing, which is great! It doesn’t bronze immediately, so don’t expect that. Expect a little bit of a glow over time. 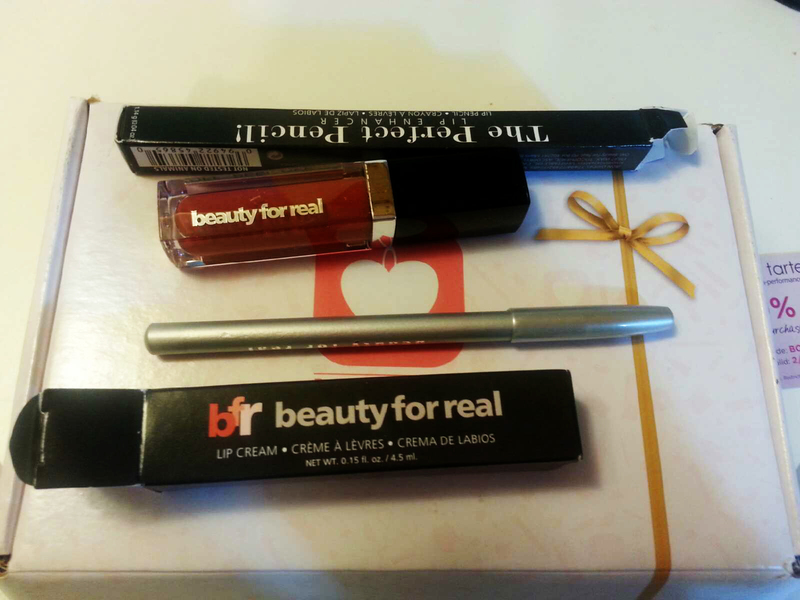 This month there were two Beauty for real lip products. A liner and a cream lip color. 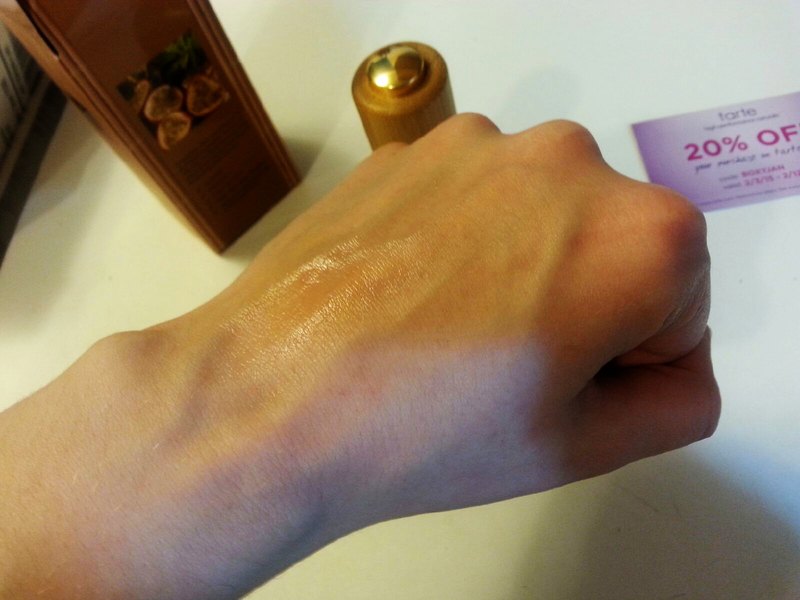 The cream lip color is wonderful, applies smoothly and is a very nice color. I didn’t think I’d like it from the spoilers, but I’m in love! The lip pencil is perfect with it. See? 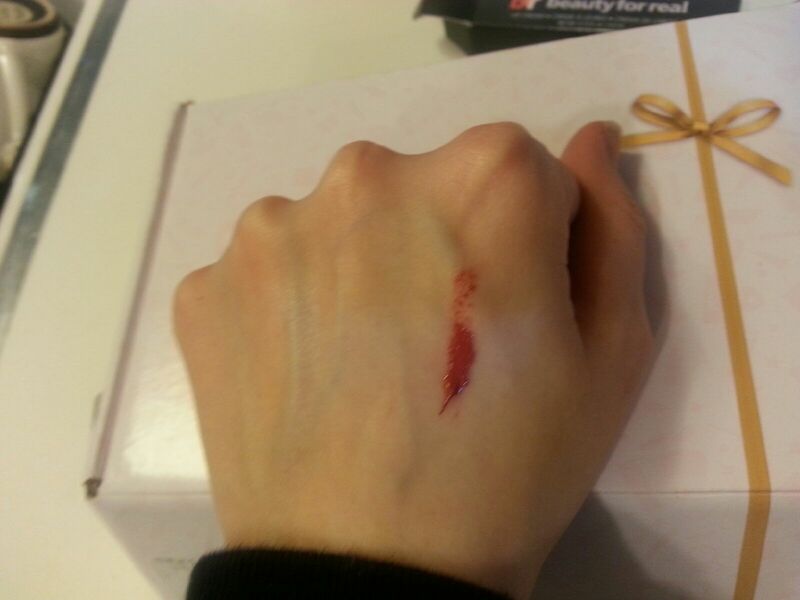 It is super pigmented! 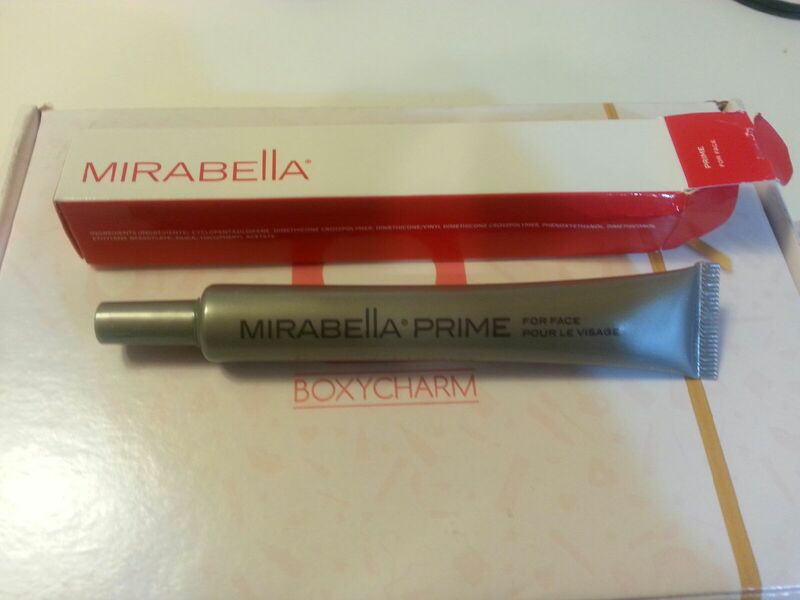 Another item in the box was a Mirabella Prime. I will use this, but it is not too exciting! I do need a primer, though, because I just finished up my full Benefit Porefessional. I love that stuff. I am not so sure about this. I have crater pores and I am unsure if this will cover them up enough. 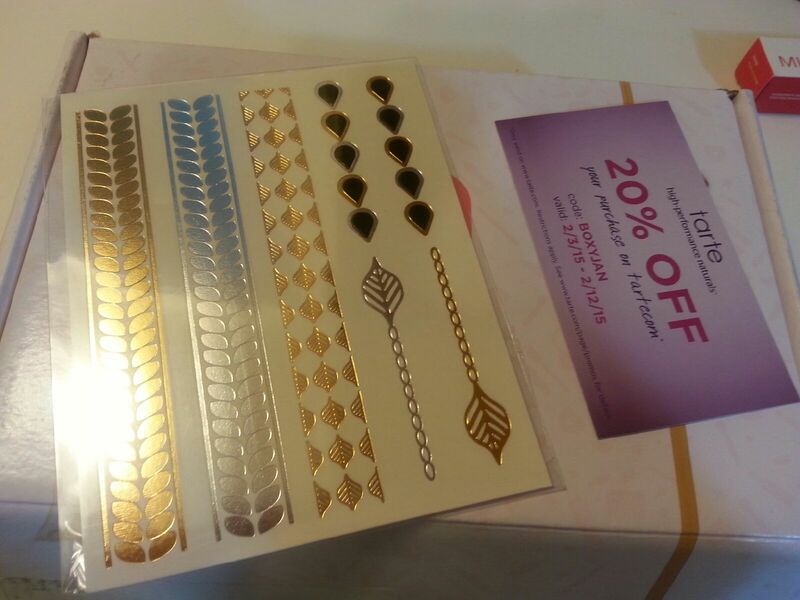 These pur-lisse temporary tattoos seem really out of place to me. They even seem out of place for the brand. It just is so weird to me. I do appreciate the 20% Tarte discount, though! I will be taking advantage of it! Overall, I think this was a great first box! I am staying subscribed because I am enjoying the items. 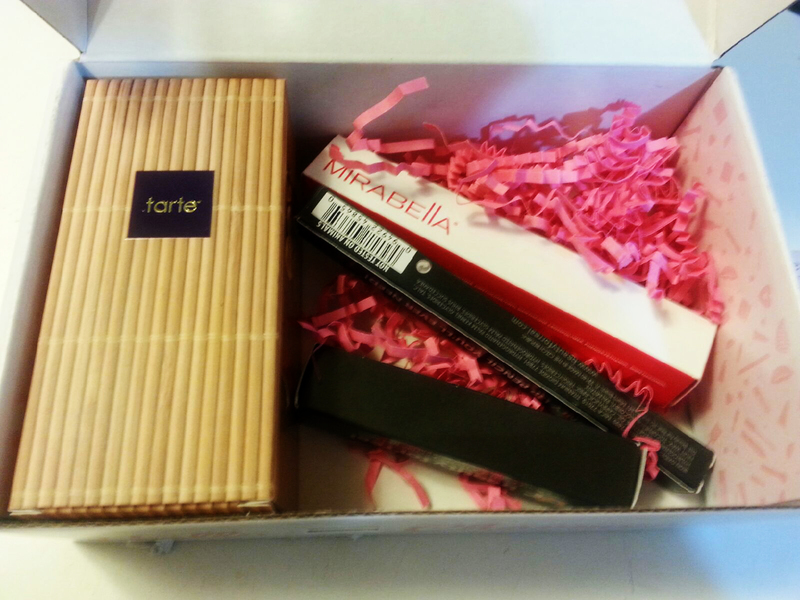 I liked almost everything in this box and I will actually use everything. Yes, even the tattoos, but only to be goofy. I don’t actually think they suit me, haha. disclaimer: I paid for this box myself. There is 1 referral link in the post.